Elephant Nature Park is a project of Save Elephant Foundation. The founder of the park is Lek, a lady who looks weak and small. “Lek” means “small” in Thai language. For the sake of the freedom and safety of her beloved Asian elephants, she established Elephant Nature Foundation in 1996. The park has approximately 200 acres of land, is established at the foot of the mountain on the outskirts of Chiang Mai, one-hour driving from the old city. There are about 40 elephants, more than 70 stray dogs, buffalos, goats, and so on, and it likes a big wild animal park. 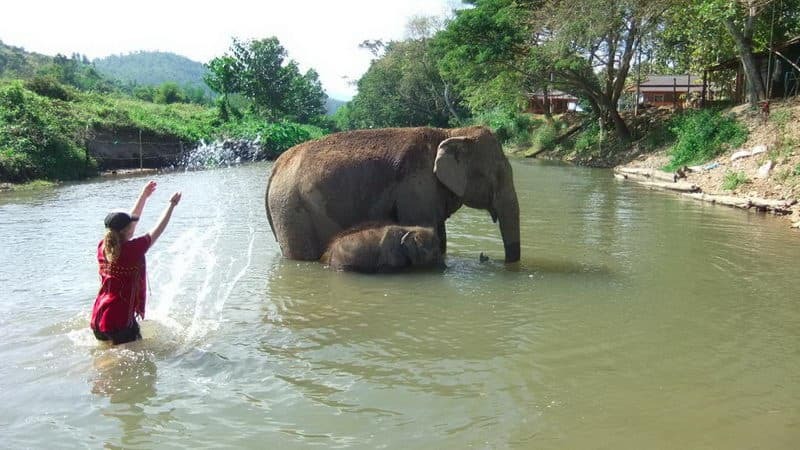 See more Elephant Sanctuaries in Thailand. The Thailand Elephant Nature Park is mainly a semi-wild refuge for some abused or retired elephants. There are dozens of elephants in the park, and visitors can touch, feed them and make a bathe for them. 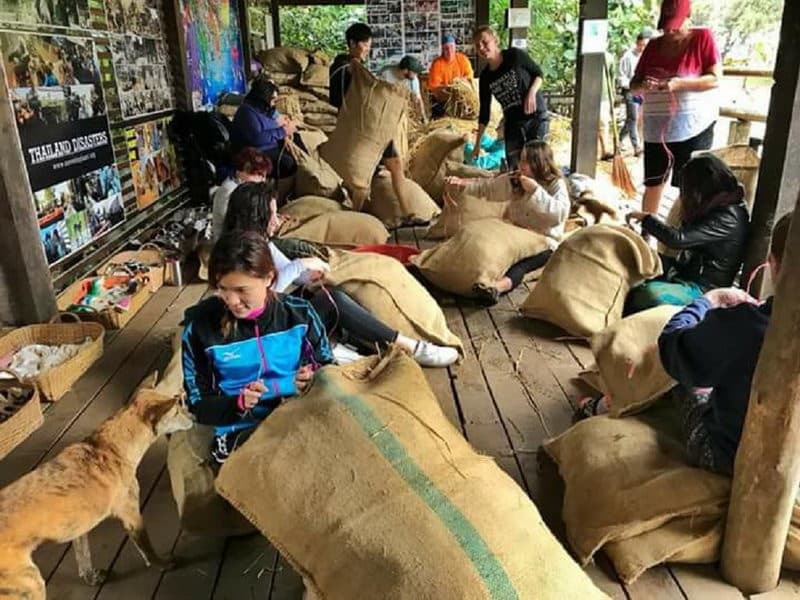 It is also possible to take part in a 4 week volunteer program to look after the animals that had been injured by human beings. 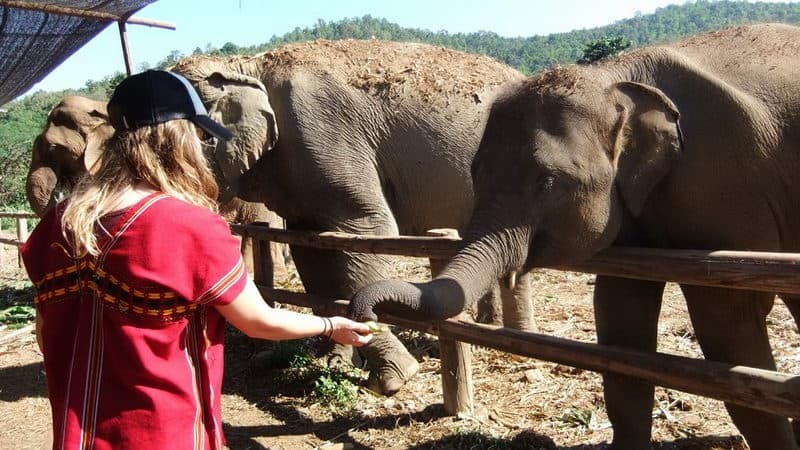 When you decide to visit Elephant Nature Park, you can also choose a short tour which has two types: a single day, two days and a night. Whether you are tourists or volunteers, you have to pay a certain amount of money here. A visitor should pay 2500B and children halved in a single day tour; volunteers (7 days) 1500B. The price is slightly higher than the ordinary elephant camp, but the use of the money is clear. A part of money is used to buy food for elephants (elephants can really eat a lot of food), and the other part is used to rescue abused elephants or retired abandoned elephants. So, the elephant camp itself is not profitable. 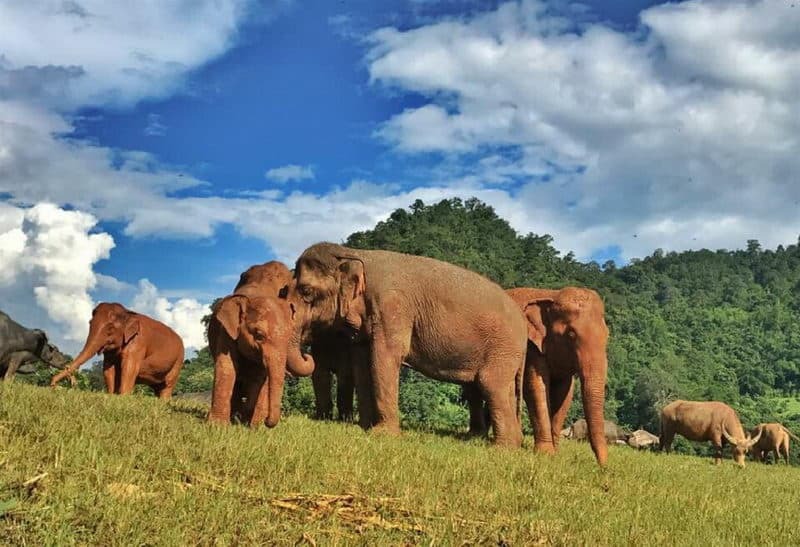 On the way to the park, the tour guide will talk about some matters needing attention of the park and play the elephant's documentary film which introduces how the elephant is trained to be a means of entertainment. The training of the elephant began since its birth not long before. Elephants are social animals. They have strong sense of family. Only by starvation and whipping, can they forget their ethnicity, mentally and physically, so that they can be tamed into human beings. The pictures in the documentary are so miserable that you feel only nausea and suffering when you watch them. Most of the female elephants in the park are rescued. When they are rescued, they are disabled and too old to work and are abandoned by their former owners. Every elephant has a nurse who takes care of him, including their three meals a day. Nurses are good friends with elephants and they also know elephants' habits very well.